Techtextil North America took place February 26-28 at the Raleigh Convention Center in Raleigh North Carolina. Moving the show from its 2017 location in Chicago back to the Southeast proved popular among the industry, making the 2019 edition the highest attended odd-year show to date. Techtextil North America 2019 brought 165 exhibitors to the Raleigh area from North America and beyond, and total attendance grew to 3,185 – showing a 52% increase* over the Chicago event, with 32 countries represented in total. Decision makers from all of the major industries that touch technical textiles and nonwovens attend Techtextil North America to conduct business and discover the latest product developments and industry trends. This year, visitors included top industry executives, buyers, engineers, technical directors, plant managers, product development managers, and more from the world’s leading brands including Apple, Nike, Ford, Target, Lear Corporation, Georgia Pacific, Arc'teryx, Hanes Brands, Mohawk Industries, General Motors, and CamelBak, among others. The 2019 Symposium ticketholders attended sessions covering today’s hot topics in technical textiles and nonwovens. Many sessions sold out during the last weeks of pre-registration; sessions including “Fiber Innovation: From Concept to Commercialization”, “Advancements in Nonwovens”, and “Textiles in Aerospace Applications” proved to be in high demand. A new addition to Techtextil North America, “The Lab” featured short sessions and hands-on demonstrations of the latest equipment & technology used in textile testing and standards. Powered by the Textile Technology Center at Gaston College and AATCC (American Association of Textile Chemists and Colorists), topics including electrical resistance, clothing comfort, color fastness, water repellency and more. Many of these complimentary, show-floor sessions were left with standing room only. 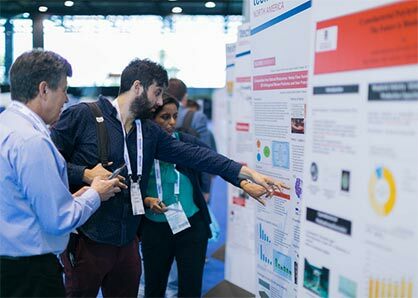 The Poster Program returned to Techtextil North America again in 2019, this time boasting 61 participants from across the United States, making it the largest program the show has seen to date. Participants included undergraduate research students and those pursuing their Master’s or Ph.D. from North Carolina State University’s Wilson College of Textiles, The Nonwovens Institute, Cornell University, Thomas Jefferson University, The University of Georgia and more. Participants had the opportunity to share their research findings with peers and potential employers on the show floor each day, and a handful were given the opportunity to present their research in front of a captive audience during the three days of Tech Talks, once again powered by The Nonwovens Institute. The Tech Talks feature area remained a popular destination throughout the three days of mini-sessions. Techtextil North America, North Carolina State University’s Wilson College of Textiles and The Nonwovens Institute hosted an evening of education and exploration on night two of the show. The sold out event provided ticketholders with light hors d'oeuvres, drinks, and an opportunity to network with other show attendees off of the show floor, as well as the chance to see the top-of-the-line laboratories and fabrication facilities of the Wilson College of Textiles and The Nonwovens Institute.